The Femme of Fandom: I am sorry. I would like to apologize to all of my readers for my absence. I tried to be someone that I am not. A coroporate bee worker who took their work home with them. I tried it and I hated it. Not again. I am BACK!!!! WOO HOO! This past fall has brought s some great shows and some not so great. I will get into those on a more individual time later. For now I am doing a puzzle and wanted something on in the background. There was not a lot on tv so I was flipping through and I found Eragon. This is a movie based on a series of four books by Christopher Paolini. He started these books when he was just a teenager (probably even before that). I love these books. LOVE LOVE LOVE. The books are about a young boy who finds a dragon egg and it decides to hatch for him. From the moment they were joined they were hunted by the evil empire. 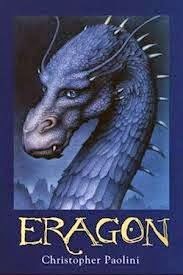 These books go through the growing up of Eragon, Saphira and the entire realm as they try to rebel against the empire. There are dragons, dragon riders, lore, magic, elves and dwarves. What more can you ask for in a good story? The movie on the other hand was pitifully bad. Yes the book is five hundred pages so some things had to be cut, I get that, but this was a disaster. The acting was not terrible, Jeremy Irons as Brom, John Malkovich as Galbitorix and Robert Carlyle as Durza were all quite good and to the point performances. The CGI was not half bad. What was so sad was the screenplay. They tried to squeeze too much into a 1.5 hour movie. The highlight of the entire endeavor was Rachel Weisz as the heroine and dragon Saphira Bright Scales. I suppose this is an intro to the stories but geez it was so bad they did not finish the series. I think that if Starz or HBO could get a hold of these this would make a good 4 season show. Who do I ask to get this done? Maybe I can ask Jane Espenson if she could write a good screenplay for these? I do not know. I know with all of the Genre out there this would be a great addition if someone did it properly.